The Fanciful Idea of Statist "Efficiency"
The disastrous failures of energy facilities following Japan's earthquakes once more testify to the calamities innate in statism. The state's system of monopoly privilege―both in its public and nominally private sectors―is rigid, unresponsive to changing circumstances, and therefore brittle. Important areas of the economy like power infrastructure are typically among those most concentrated in the fewest hands, the least competitive and the most sequestered from true free markets. They are the objects of enormous government subsidies, and their monopoly status allows them to demand from the consumer a high "restrictionist price" with no rational relationship to actual market forces. It is these areas of infrastructure, so omnipresent and fundamental to daily life, that we're supposed to think of as "too important to be left to the free market." For services that virtually everyone uses, the public sector or ambiguously quasi-public companies are put forward as the prudent alternative to the market's "cutthroat competition." Markets are, it is said, unable to provide these important services safely, effectively and justly. Anarchists often meet the instinctive objection that ours is an ideology hopelessly doomed to impracticability, unrealistic in its aims. Such arguments, though commonsensical on their faces, are only superficially so, taking for granted many claims that are far from clear. The declaration "unrealistic!" becomes a way to dismiss substantive arguments―ethical, utilitarian and economic―and to make apologies for the status quo as something that "works," that "makes the trains run on time." But the spokespeople of the supposedly practical philosophy of statism, who dismiss anarchism out of hand, beg the question in at least a couple of ways. 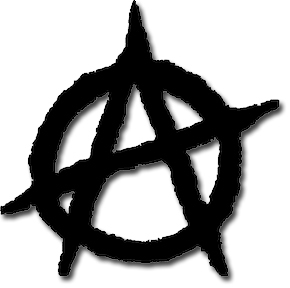 Since anarchism has never been implemented in full, they insist, it cannot be, or else it already would have sprung up. What the sources of these assertions may or may not know, however, is that historical examples of what we might call stateless societies belie their contentions. Tribal society in Celtic Ireland existed, for a time, without any recognizable relative of the central state, functioning through a largely noncompulsory paradigm of familial relationships and direct democracy. Even assuming, though, that claims regarding the dearth of historical examples were true, it hardly seems a strong rationale for dispensing with the claims of anarchism as simply unrealistic. "The completely uneconomical and wasteful activities that make up the bulk of the statist economy would splinter and fall apart in a moment absent the coercion necessary to hold it all together. Although we could hardly imagine a more preposterous and inefficient system, it will continue as long as we defend it on behalf of those who benefit from its wastes and abuses." In a time when human beings regularly died from diseases like smallpox, our modern era, that treats these maladies as fairly mild inconveniences, would have been thought unrealistic. For thousands of years before airplane travel―indeed before there were even cars―the notion that humans might take to the sky would have been the quintessence of absurdity and illogic. Since many if not most of our modern technologies, the everyday facilitators of our lives, would have been indistinguishable from sorcery to our forebears, we might wonder who is really being unrealistic. Are anarchists unrealistic for suggesting that we might someday realize a society without arbitrary violence, where the use of force is only allowed in legitimate self-defense? Or are statists unrealistic for blindly designating their system, one that has never "worked" or been efficient except for feathering the nests of elites, as "practical," "sober" and "moderate"? If there is a sense in which statism is efficient, it is certainly not in the popular sense of being cost-effective or economical. Events in Japan show that the institutions of the state are constantly and precariously balanced on a razor's edge. By using coercion to (directly or indirectly) compel individuals to pay for things that they would never pay for in a society without those constraints, the state functions on a principle quite opposite to statists' cherished "efficiency." Its whole system is founded on the theft of productive energy for purposes that the aggregate of free exchanges would never choose. It hinges on the capacity to externalize expenses and losses on the human livestock of productive society while directing profits to a favored few beneficiaries. The completely uneconomical and wasteful activities that make up the bulk of the statist economy would splinter and fall apart in a moment absent the coercion necessary to hold them all together. Although we could hardly imagine a more preposterous and inefficient system, it will continue as long as we defend it on behalf of those who benefit from its wastes and abuses. Why should the state enjoy the benefit of the doubt? Why should we sheathe it from criticism under the pretense that every alternative is unrealistic? It's impossible to know exactly when, but there will someday be cures for cancer and HIV, and we'll look back to the day when the cures were just the starry-eyed dream of idealistic doctors. The state is no different; as a disease living on the weakened remains of peaceful society, its days are drawing to a close.